In this guide we’ll take a look at the best wellington boots. What Are The Best Wellington Boots? These Aigle Unisex Wellington Boots are the warmest and most comfortable wellies I have ever worn. They are made from natural rubber but also feature a 4.5 cm thick neoprene lining which insulates from the cold down to -20. They have tri density rubber soles with damping cushions in the heels that spring back with each step. These win my vote for the best wellington boots on the market. These boots have adjustable tabs and gussets that make them fit snugly to your legs. There is plenty of room in the leg part, so even if you have quite chunky calves or like to tuck your trouser in they are not too snug. However, they are still slim enough to keep out the rain and look stylish. The chunky heel and sole have a deep tread, and are very grippy, perfect for slippery surfaces such as mud and ice. The boots are beautifully made and they will last for many years and miles. They are so very well made that they are clearly the best wellington boots around. These wellies really do keep your feet dry, warm and comfortable all day long whatever the weather. They are as comfortable and warm to wear as a pair of walking boots yet totally waterproof, easy to clean and durable. These wellington boots are top of the range and expensive. However, their exceptional quality and design make them absolutely the best wellington boots to go for when searching for the perfect pair! These Hunter Original Womens Wellington Boots are a classic and for good reason. They are durable, comfortable and stylish. These black wellies have a smooth finish that is almost leather like in look but have the advantage of being totally waterproof and easy to clean. These win my vote for the best wellington boots available for women. The wellies are orthopaedically designed for comfort and feature a knitted nylon lining that makes them easy to put on and take off. They also have a vulcanised leather upper for extra strength and durability. The multi layered cushioned sponge insole makes them cosy and comfortable to wear even on long walks. The soles and heels are quite grippy and help you feel secure even on slippery surfaces. These are a classic stylish pair of wellington boots that are also practical for outdoor wear in the toughest conditions. They are another great choice to go for if you are looking for the best wellington boots on the market. These Unisex Dunlop Blizzard Fleece Lined Wellington Boots are warm and comfortable to wear due to their fleece lining and insulation. They keep your feet warm and dry even in icy and snowy conditions. The fit is good, with room to tuck trousers in if you wish and they are not too tight over the calf. The lining is nice and thick but there is still plenty of room for a thick, warm sock. The heel and sole are very grippy, too. These may not be the most stylish wellies; however, they are comfortable, warm and practical for everyday use. They are the best wellington boots to buy if you are on a budget. 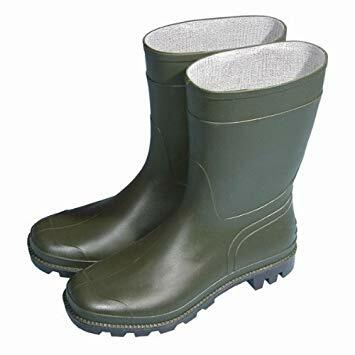 These Muck Boots Unisex Wellington Boots are designed for wearing when doing those dirty chores such as mucking out stables. The boots are super comfortable and keep your feet perfectly dry no matter the task at hand or the weather. The sides are made of neoprene that is comfortable to wear but also totally waterproof. They also have reinforced heels and toe areas for durability and a steel shank to provide good arch support. The chunky heels and soles also provide excellent grip in mud and ice. The boots are really easy to clean. I particularly like that these boots keep your feet cool as well as warm, perfect if you are tackling mucky jobs in the warm weather and don’t want to end up with sweaty legs and feet. These boots are the best wellington boots to go for if you have slightly chunky calves. The stretch neoprene fits snugly without being too tight. They also fit well if you have slightly wider than average feet. These boots are a really practical choice that also look very stylish, too. The Joules Women’s Wellyprint Wellington Boots come in a range of stylish and fun prints that will brighten up rainy days. They are made from hard wearing natural rubber which makes them comfortable to wear, too. These lightweight and stylish wellies are ideal for festivals and holidays as well as wandering round the park. One thing to mention is these wellies are quite tight around the calves, so be wary of that if you are worried about them not being comfortable around your legs. If you love fun prints and designs then these are the best wellington boots for you! These Dunlop Men’s Festival Wellington Boots are good quality and very durable. They are a nice fit and wide enough to tuck in your trousers if you want too. They are also easy to pull on and off. They may not be as comfortable for all day wear as some of the more expensive products, however, with a nice thick sock they are perfect for general tasks such as dog walking. They have a nice chunky heel and sole that provides excellent grip in slippery conditions, too. Overall these are the best wellington boots to go for if you don’t plan on using them all the time, and want an affordable pair that are still comfortable to wear. If you are going to a music festival or camping and need a pair of wellies for the weekend then these are just the ticket! These Town & Country Half Length Wellington Boots are ideal to slip on for gardening or dog walking. They are wide enough to tuck your trousers in and ideal if your calves are less then svelte. The cushioned sole makes them comfortable to wear. The heel and sole are grippy and they look pretty stylish too. Again, they are more comfortable if you wear them with thick socks or an inner sole. These are the best wellington boots if you want a half-length pair on a budget. Wellington boots are a wardrobe essential for anyone who loves the outdoors but hates getting their feet wet. Wellingtons can be made from rubber or synthetic material and this makes them waterproof, durable and easy to clean. While wellies are of course ideal during wet weather and for muddy walks, they can also be made warm and cosy for cold weather walks by adding thick socks or welly liners – perfect for a snowy wintertime stroll. With such a wide range of prices, it can be hard to know what wellingtons to buy. Is it really worth splashing out on an expensive pair? Well, I suppose that will ultimately depend on your lifestyle. If you wear wellies a lot, then a more expensive pair will be more comfortable, especially if you wear them for hours at a time. In addition, more expensive wellies are generally warmer in winter weather. Of course, your choice will also depend on your style. If you like to look good, you might think it is worth spending a little extra for a fun print or a designer label. Should I buy a size bigger in Wellingtons than I do in ordinary shoes or boots? It is not usually necessary to but a larger size in wellingtons. However, if you have wide feet or a high instep, you may find that going up a half or a whole size will make them more comfortable. You might also like to choose a larger size if the boots are not insulated as this will mean you can wear a couple of pairs of nice thick socks to keep your feet warm. I splashed out on an expensive pair of wellies and I want them to last. How should I care for them? You can buy special cleaning kits for wellingtons from companies such as Hunter, Aigle or Joules. However, you can maintain your wellies without these kits. Here are some tips. Wash any mud or dirt off your boots with a mild solution of washing up liquid and warm water, being careful not to scrub too hard. You can use an old toothbrush to get into any grooves. If the insides of your wellies get dirty or smelly you can use the same mild washing liquid solution to scrub the inside of the boots and then rinse with plain water. You can also get rid of odours by spraying the inside of your boots with a mixture of half vinegar and half water. You can remove scuff marks on your boots with a soft pencil eraser or by rubbing the scuff with a non-gel toothpaste. Occasionally, especially in hot weather, natural rubber wellies get a whitish bloom on the surface. There are commercial treatments that can prevent or rectify this, however, you could try removing this bloom by dropping a few drops of olive oil on a clean cloth and rubbing this over the boots. Always dry your wellies after cleaning them or getting them wet. However, do not place them near a heat source or in direct sunlight as this can cause the rubber to crack and fade. You can speed up the drying process by stuffing the boots with balled up newspaper, replacing it every couple of hours with fresh until the boots are dry.